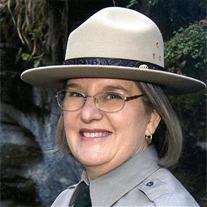 The Freeman Tilden Award is an annual award recognizing outstanding public contributions in interpretation and visitor services by a NPS employee. Freeman Tilden, who wrote The National Parks, What They Mean to You and Me and Interpreting Our Heritage, greatly influenced the development of NPS interpretation and education programs. Please use full address, including city, state and zipcode. Complete this form, then follow the link that appears once your form has been submitted to make your payment via PayPal. Thank you! Please click here to donate via PayPal.